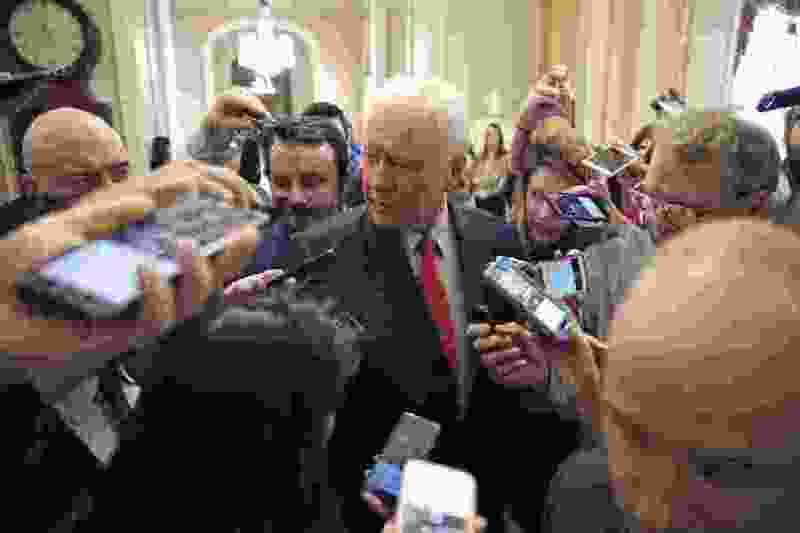 Washington • U.S. Capitol Police announced late Wednesday that a former junior Senate Democratic staffer has been arrested for allegedly posting private information about Republican senators, including Utah’s Orrin Hatch and Mike Lee, on Wikipedia. Jackson Cosko, 27, of Washington, D.C., faces five federal counts including making public restricted personal information, making threats in interstate communications, identity theft, witness tampering and unauthorized access of a government computer, police said. Cosko also faces District charges of second degree burglary and unlawful entry, police said. He is set to appear before U.S. Magistrate Deborah Robinson of the District of Columbia on Thursday afternoon, the U.S. attorney's office for the District, said. "The investigation will continue and additional charges may be forthcoming," Capitol Police spokeswoman Eva Malecki said. Cosko could not immediately be reached for comment. A brief police statement did not give details, but a U.S. official said the arrest was tied to the investigation into the posting of personal information about Republican senators on the Wikipedia site as they held a hearing Sept. 27 on sexual assault allegations against Supreme Court nominee Brett Kavanaugh. At the time, Rep. Maxine Waters, D-Calif., rejected accusations that a member of her staff was responsible, calling them "lies, lies, and more despicable lies." The information posted purportedly included phone numbers and home addresses for three Republican members of the Senate Judiciary Committee at the hearing: Hatch, Lee and Sen. Lindsey Graham of South Carolina. They were doxed — or had private or identifying information made public on the internet — when an anonymous Wikipedia user edited their pages. The information was quickly removed after the doxing was discovered and aides contacted authorities. Edits to the online encyclopedia were traced to IP addresses of computer devices assigned to the U.S. Capitol. Waters in her statement last week said Capitol Police and internal computer specialists determined that an IP address cited online did not belong to her office or anyone on her staff. According to the Legistorm website of congressional disclosures, Cosko was employed as a low-level aide from January 2017 to May 2018 with the office of U.S. Sen. Maggie Hassan, D-N.H., and earlier with former Sen. Barbara Boxer, D-Calif.
Hassan spokesman Aaron Jacobs said he could not comment on an ongoing investigation. Cosko was paid $23,000 over six months ending March 31, according to Legistorm. A LinkedIn website to a Jackson Cosko lists work from Jan. 2016 to May 2018 as an intern, press assistant and legislative correspondent/systems administrator assisting senior Senate staff on matters before the commerce and homeland security committees, including cyber security issues. It could not be immediately determined if Cosko had any past connection to Waters' office. The office did not immediately respond to a request for comment late Wednesday.